I've added two new improvisational patchwork classes to my workshop offerings and be sure to check out my newly posted teaching philosophy. 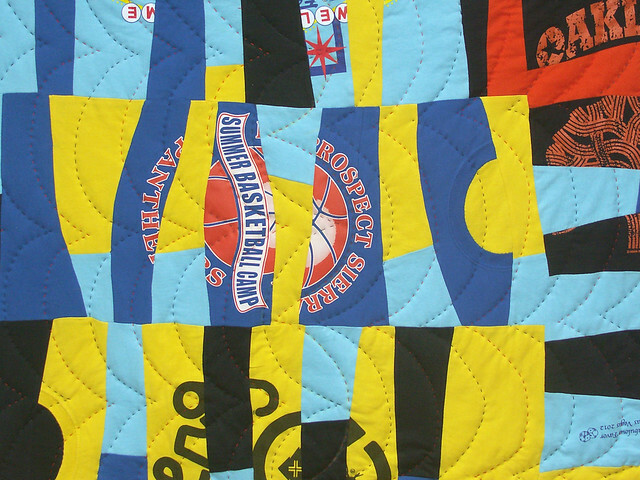 Modern quilting is about expanding the boundaries of the tradition without forgetting them. 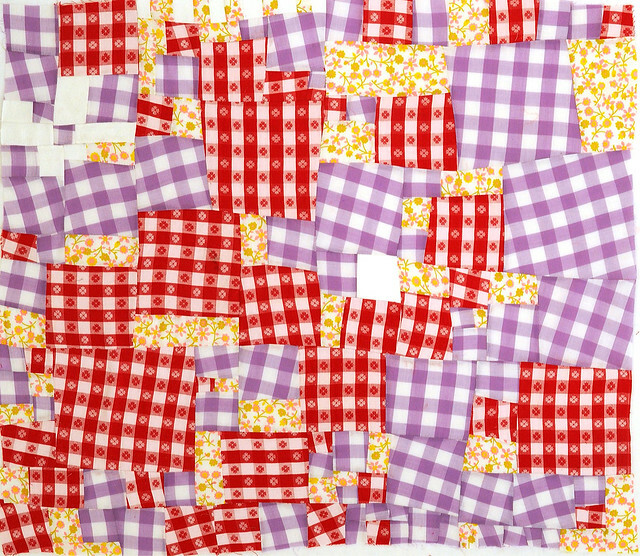 Improvisational patchwork is one of the cornerstones of the modern quilt movement because it drives the evolution of the movement. Improvisation is not design but the creative process behind design, cultivating and pushing it towards the fresh and authentic. If you would like to take these workshops in your neck of the woods, PLEASE let your guild leaders and shop owners know --I'm now scheduling for 2014! Contact me. Break out of the traditional t-shirt logo grid and take a stroll with me down memory lane! We will be mixing our favorite t-shirts with contrasting fabric to create a series of “memory lane” sections. This method creatively fragments the logos, adding visual interest while holding them together in readable paths of color. You will learn various techniques for stabilizing and sewing knits, hand sewing techniques for preserving necklines, and improvisational patchwork techniques for layering, cutting, and piecing without rulers or a pre-determined pattern. All skill levels. With jazz music, a score, or lead sheet, is used for indicating the basic melody, chord changes, and arrangement of a song without specifying exactly how the song should be performed. Now imagine a score written to perform a quilt! Students will create an improvisational quilt by working from a simple score rather than a pattern. You will learn basic improvisational sewing techniques and leave with the confidence to create your own patchwork scores for future improvisational projects. All Skill Levels.